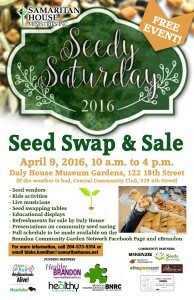 I will be in Brandon this April 9th at their 3rd Seedy Saturday. I will also be bringing my SEEDS! 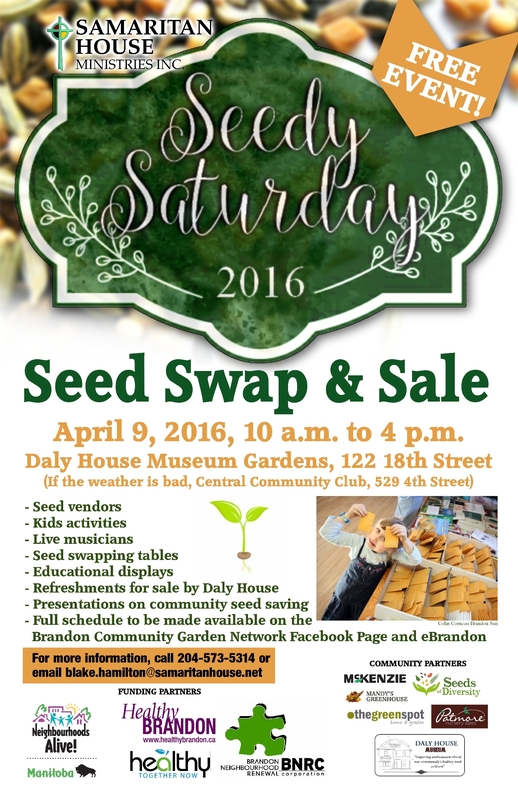 Brandon’s Seedy Saturday returns for its 3nd year! We feel a responsibility toward the stewardship of our national treasures of heritage/heirloom vegetable seeds. We will continue to grow out portions of our collection & any extra seed that is offered will be fresh and very interesting! Come down and chat! Looking forward to meeting with you all! HEADS UP! There will be an alternative location, in the event of adverse weather! Truth be told…the DIFF. sections of the Website….is THE LIST! Folks need to start reading…L0L!